What camp did John Cusack’s buddy attend? Home > Blog > What camp did John Cusack’s buddy attend? It seems that no matter which way you turn in Hollywood, everybody involved in ‘show biz’ attended summer camp when they were younger. I’ve written about a decent number of them, but when I look at the vast number of celebrities who have attended summer camp, I realize that I’ve only just begun! 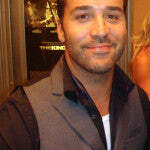 Another name you’ve likely heard before is Jeremy Piven. He’s yet another bi g-name in Hollywood, an American film producer and actor who went to Camp Chi during his childhood. Camp Chi is a Jewish summer camp, located in the Wisconsin Dells on Lake Blass (not all that far from Everything Summer Camp here in Boyd, Wisconsin). Quite an accomplished and well-known actor, Jeremy has won the Golden Globe Award as well as three Emmy Awards in a row. He’s also been nominated several times for Best Supporting Actor. Maybe you’ve seen him in roles like Arny in ‘The Family Man’, a salesman in ‘Rush Hour 2’, the Timekeeper in ‘Spy Kids: All the Time in the World’, or maybe you know his voice as Harv from ‘Cars’. Jeremy may be a big star now, but he grew up like anyone else back in Evanston, Illinois. He and his family lived in a suburb north of Chicago. After his time at summer camp, he found great interest in acting. He later attended the Harand Theater Camp in Elkhart Lake in Wisconsin. During his time at the theater camp, he played Bernardo in ‘West Side Story’. With a strong interest in acting (and a lot of support behind him), he trained alongside John Cusack at the Piven Theatre Workshop (which was founded by his parents). After that, he went on to earn his degree in theatre at Drake University in Des Moines, Iowa. He also attended a semester at the National Theater Institute in Waterford, Connecticut. By the time he was done with school, he was already appearing in movies with his buddy, John Cusack. Jeremy did what made him happy and look what happened to him? What makes you happy? Thanks for reading, Summer Campers!